In Washington's Power Corridors, Is Ignorance Bliss? The news of the hour here in Washington is that recently released internal memos from the Central Intelligence Agency show that Nancy Pelosi knew about the "enhanced interrogation" techniques being used by the CIA on suspected terrorist detainees as early as September 2002. The docs do show that according to the CIA, Pelosi was given a “description” of some of the enhanced interrogation techniques that had been used on Abu Zubaida. But the documents are inconclusive on a key charge being made by Republicans — that she had been told of the use of waterboarding, one of the harshest and most controversial torture techniques. 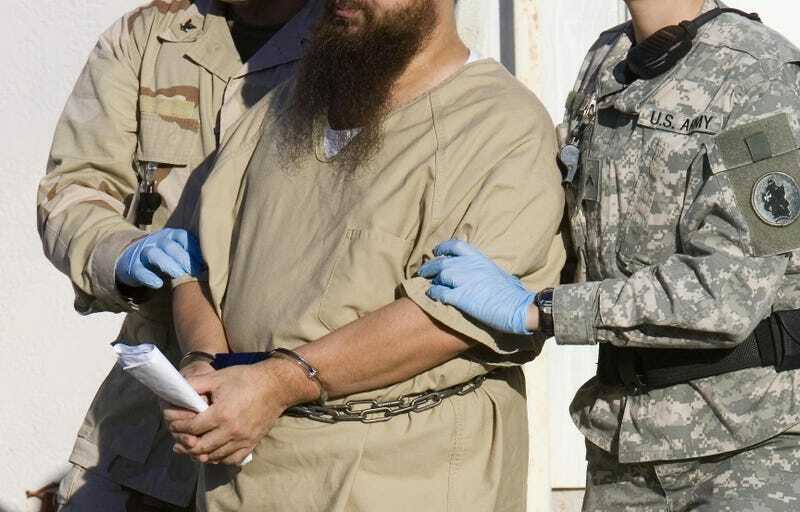 An intelligence report sent recently to Capitol Hill shows that members of Congress were briefed 40 times since 2002 on aspects of the so-called "enhanced interrogation" program. Many have decried the techniques used in the program as torture. My quick take on the issue: I've often wondered if the White House knew every last bit of information that was contained in the four torture memos released by President Obama and Attorney General Eric Holder last month—notably, the crackerjack discovery by blogger Marcy Wheeler that the previous administration had waterboarded Khalid Sheik Mohamed 183 times in one month. Everyone was stunned—had Obama's team at the Office of Legal Counsel read all the fine print, as they surely knew the news media would? What did that say about their intentions to prosecute? Now, we have a situation where it is not just the shadowy, much-reviled outgoing Republican brass that is embroiled in the shameful project of torture. All of Washington leadership might be explicitly or implicitly involved in the decision. Could the administration have predicted this? And is that some of the reason for its hesitance to forcefully apply the rule of law? I agree with Sherrilyn Ifill, legal analyst for THE ROOT, who wrote that far more answers are needed and that "the rule of law doesn’t really allow for exceptions. The decision not to prosecute is a political one, not a legal one." ALSO: Read Janer Mayer's tale of torture in THE NEW YORKER, which provides much of the information contained in her chilling book, "The Dark Side."